Tasty Veg. 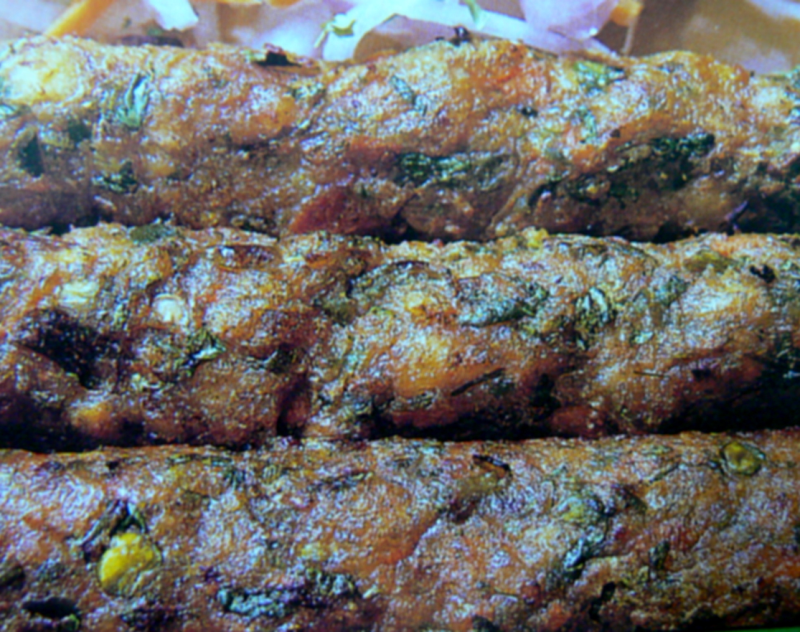 seekh Kebab for Parties.u can deep or shallow fry this or grill or barbecue this kebab. Cut the vegetables.Parboil them,drain the water and let it cool.Wipe the water with tissues and grind them to a paste. Mix all the other ingredients together and mix this with ground vegetable paste well. Shape them into sausages and shallow fry or(skewer and) grill them in oven barbecue till golden brown on both sides. Garnish with lemon wedges and serve hot..